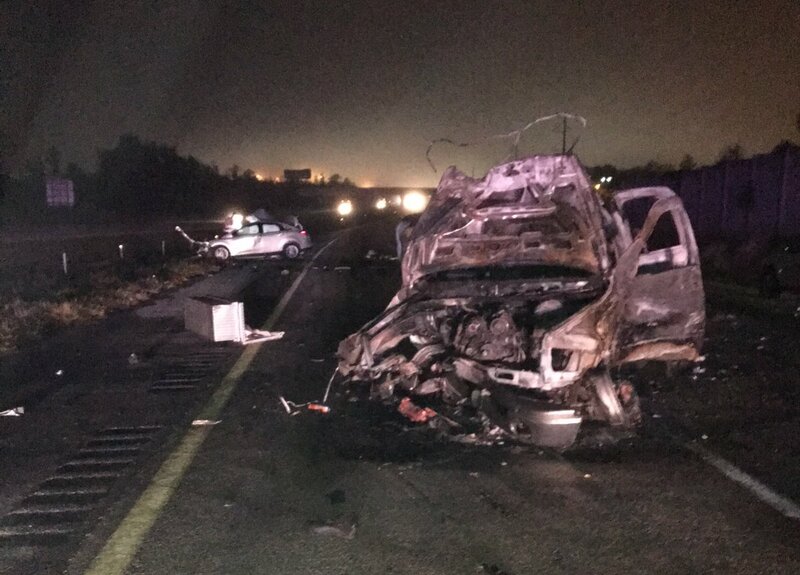 St. Petersburg man killed in wrong-way alcohol related crash in the morning hours of Saturday, January 14, 2016 on I-4 in Polk County. FHP reports the crash occurred about 3:13 AM in the Eastbound lanes of I-4 at mile-marker 33 (Lakeland). 24 year-old Travis Wade Coats of Polk City was traveling in a 2005 Dodge Ram 1500 on westbound I-4 in the eastbound lanes west of the Carpenters Way Overpass. The 32 year-old St. Petersburg man was traveling eastbound on I-4 in a 2016 Ford Fusion. The two vehicles collided head-on and both vehicles came to final rest in the eastbound lanes of I-4. A third vehicle driven by 23 year-old Emily Jean Smart of Lakeland was traveling eastbound on I-4 and subsequently collided with the Dodge truck. The St. Petersburg man suffered fatal injuries and died at the scene of the crash. Her identify is pending next of kin notification. The two other drivers experienced minor injuries and were transported to Lakeland Regional Medical Center. All eastbound lanes were closed until about 8 AM during the investigation.